Solar and Wind For Sailboats – What is Best? Posted on 23 October 2013. What is the best way to approach making your own electricity when you are planning on living aboard a sailboat? This is the decision that my wife and I are getting ready to make in the very near future assuming a few things line up. But, one of the main questions we have is with regard to output and of course what types of things we can expect considering the places we plan to sail. One of the used sailboats we are very highly considering to purchase, has both wind and solar. There are a total of 3 solar panels on the boat, two smaller ones and one larger one which add up to a total of 250 watts. AND, we have been told by some other sailors that this should be just about enough to allow us to run the small refrigerator and some night-time lights and a few other common things. Believe it or now, I for sure overlooked one of the biggest objectives that I should have considered all along with my solar power interest….being able to charge the starter battery. That’s right, the sailboat’s diesel engine is of absolutely no use if there isn’t any juice left in the batteries to get it started when its needed. So, after talking with the current owners and consulting the manuals, it definitely appears that the current PV solar panels will supply more than enough electricity to make sure we have enough to crank over the inboard engine when the time calls. What about a Wind Generator on Sailboats? This particular sailboat, and Island Packet, also has wind on its transom. And, depending on the time of year, we have heard that the wind turbine will quite possibly supply more power than the solar panels. This was actually some great news. When it’s windy and we need electricity, we can turn the brake off the turbine and let it rip. When we are topped off, we can simply turn the brake on and not have to listen to it whipping around all the time. There are some concerns we have as potential sailors, and if we move forward with all this, we’ll have to see if what everyone is saying is true about the system’s capabilities. But, with our fingers crossed, it looks like we might be getting in some off-the-grid living afterall, just not on land. Posted on 31 January 2012. It might look out of place, but in my opinion, it looks pretty nice to see some small roof solar panels resting on-top of this desert home. From this actual picture, you can see the the panels are not getting direct sunlight at the moment, but that is because of the winter time and the sun already going down for the day. Most people would wonder what a system this size is going to produce in terms of electricity, and the answer is actually a reasonable amount over the course of a year. You could expect anywhere from 3000 to 4000 kwh per year depending on how much shading is minimized. This is not large enough of a system to power the average sized house, but it will be enough to cover some smaller lights and some very small electric appliances for a little while each day. 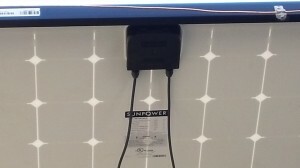 The wiring on a system like this can either be connected directly to the utility meter, or it can also be connected to some sort of battery backed up power supply so the energy can be used at a later time or when needed. Like we have talked about before in older solar postings, the battery backed up systems are much more expensive and will end up costing you an arm and a leg so be prepared. For anybody who is thinking that solar power is not alive anymore, think again. Some of the smartest people on the planet are investing in solar power, and those people are the ones who manage the Lucille Packard Children’s Hospital which is part of Stanford University’s Medical Center. At one of their new buildings, they have decided to place a solar system on-top of one of the parking lots. What a great idea indeed. Especially if you have an area that faces the sun and does not have any shade. Excellent. 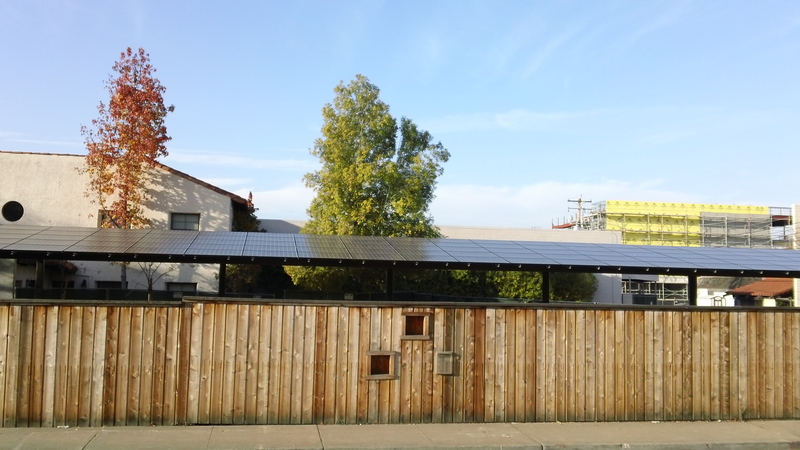 What is particularly good about this parking structure is that it allows for the solar panels to face the street so all of the other local townspeople will be able to see what a great use of space there is on top of the cars. My estimate on the kwh output of this solar system is about 4300 kwh of electricity per month. That is based on an average sunlight hour per day value of about 5. 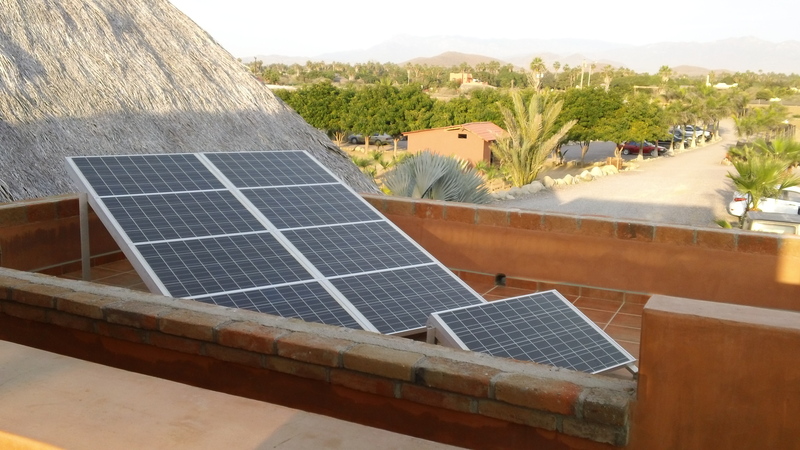 You could change up the average sunlight hours per day number with a number that is closer to where you live, and that would give you and idea for the output of this sized system which is roughly 25kw or 25,000 watts in total size. Finding ways to heat up your water is not a brand new way of thinking. In several cities across the United States, you will find solar hot water systems in use all over the town, and there is very good reason for this. Solar hot water saves incredible amounts of money. Solat Hot Water is a very efficient solar technology, much more efficient when compared to solar electricity, especially when you compare the upfront costs and then compare that to the dollar savings in energy costs. 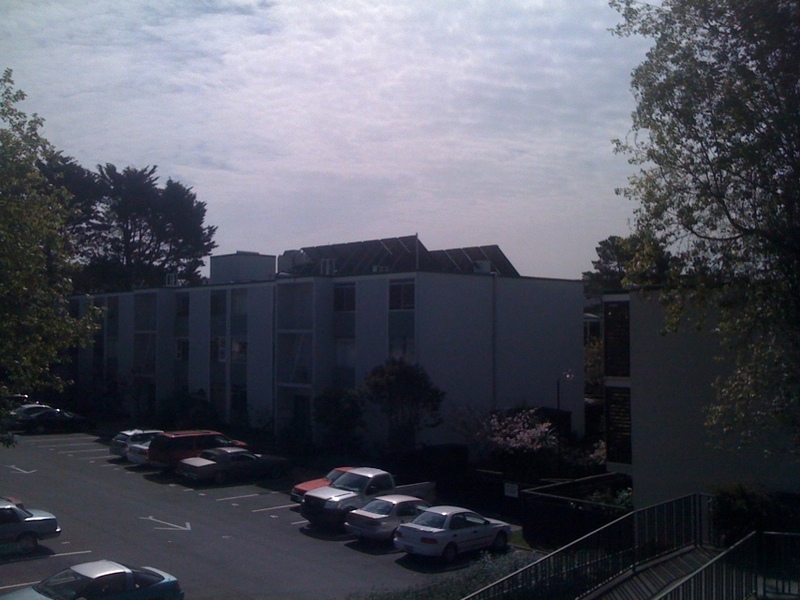 In the picture above, you can see that on the rooftop of this 50 plus unit apartment building are many very large solar hot water panels. 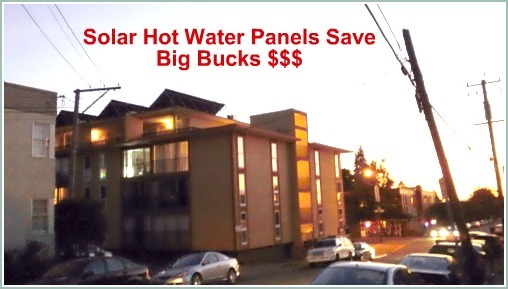 These panels are able to heat up all of the hot water needs for over 100 people all year long. A large scale solar hot water system can provide incredible savings when it is looked at over many years. The return on investment for solar hot water is comparable to an investment that pays for itself completely in less than 6 years. Because a well maintained solar hot water system can last for well over 20 years, the overall investment is going to be very hard to beat in today’s economy. And what could be better than having solar hot water also be promoted as a green technology that is helping the environment too. If you are looking to add solar hot water to your house, but want to know if it might be better to install solar electric panels instead, don’t think about this too long. In nearly all cases in the United States right now the solar hot water solution will be your best bet. Posted on 27 April 2011. Farms all over the United States are going green with solar panels these days. Not only are farmers having to pay through the nose for the high prices of electricity, but overall commodity prices are increasing for most of the other items that farmers need. But, many of them, like the farmers in these pictures have found some ways to cut corners and reduce their costs on the energy consumption side, while thinking long term too. The solar industry has been focused on the local farmers for many years, this is nothing new. With the simple fact that farmers often times are in need of power and electricity that is far away from any electric panel, many farmers developed off grid solar systems to meet their energy needs years ago. Today, things have become even easier for small and large farmers to cash in on sunlight and the solar electricity it produces, with the invention of grid connected solar panel systems, you don’t even need batteries anymore to make your own power on your farm. The solar panels from these pictures are actually grid connected PV solar systems. They simply collect the sunlight all day long, and as you can see there is absolutely no shade to worry about, and they feed the energy back into the electric meter. When the property is producing more electricity than they are consuming, the meter spins backwards. The opposite is true when they use more power than they are making. Overall, the reality of farming is that electricity is needed to run a farming operation in this modern world, and with an abundance of sunlight, farms are an ideal place to have solar panels. 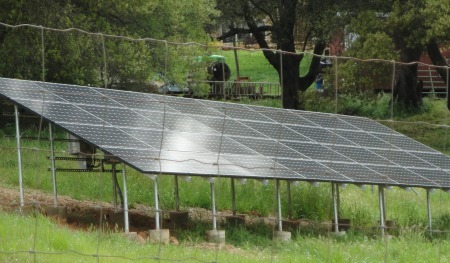 The ground mounted solar system option utilized on this farm works very well for two reasons. The first reason is the angle these panels have towards the sun is ideal because they are situated at a south-west direction towards the sun. 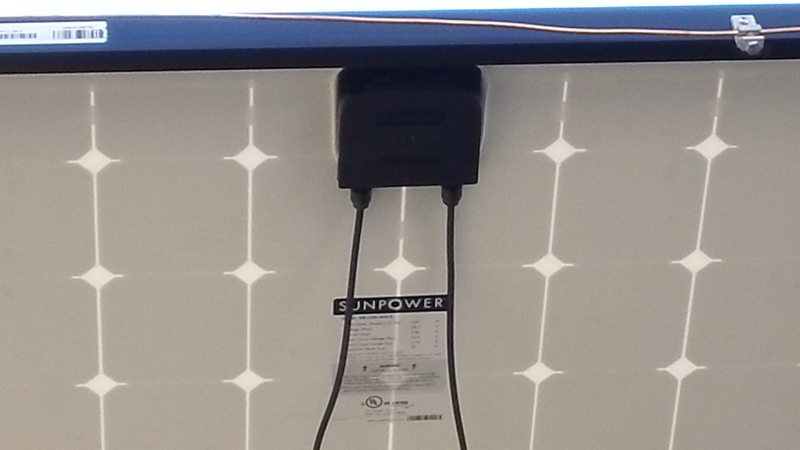 Also, the angle of these solar panels is setup perfectly and adapted to the ground mounting hardware racks, so the panels can sit at approximately 22 degrees and face the sun at the same time. This is a 32 panel solar system, and its about 5.4kw in size, so it will be producing a sizable amount of kilo watt hours each month, but not all productive systems need to be this large. Posted on 14 April 2011. 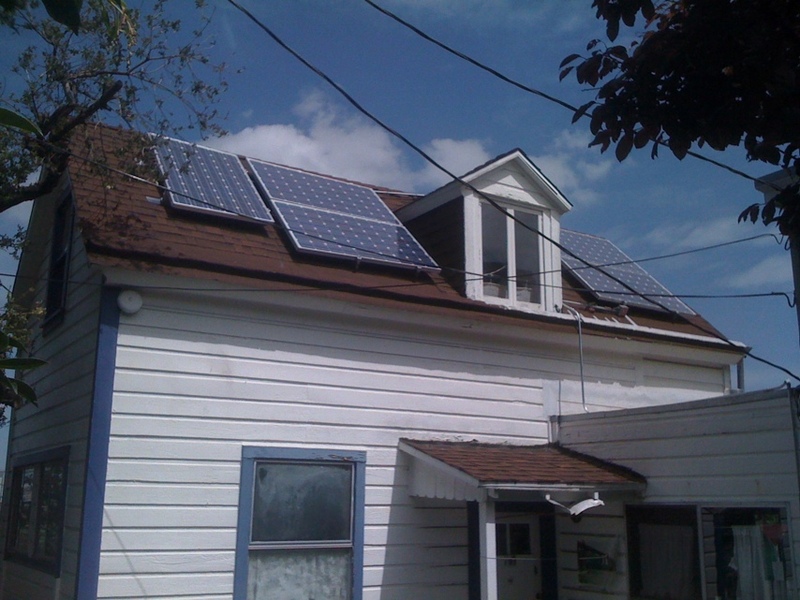 The roof has always been the best place for solar panels and there are many reasons for that. The most important reason that nearly all solar cells sit onto of roofs is because that’s where the sunlight is shinning the most. What happens behind all of these solar panels is really important and crucial towards the overall success of the solar electric installation. 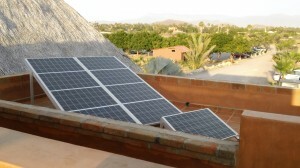 One of the main objectives of the roof is to provide a firm foundation for the solar panels. This is accomplished by most solar installers with the help of some rack mounting system that secures directly into the roof. One very popular type of solar rack is called “Unirac”. Most solar mounting hardware/ racks are wind tested in live conditions with solar panels attached. Be sure to evaluate the wind potential at your location. 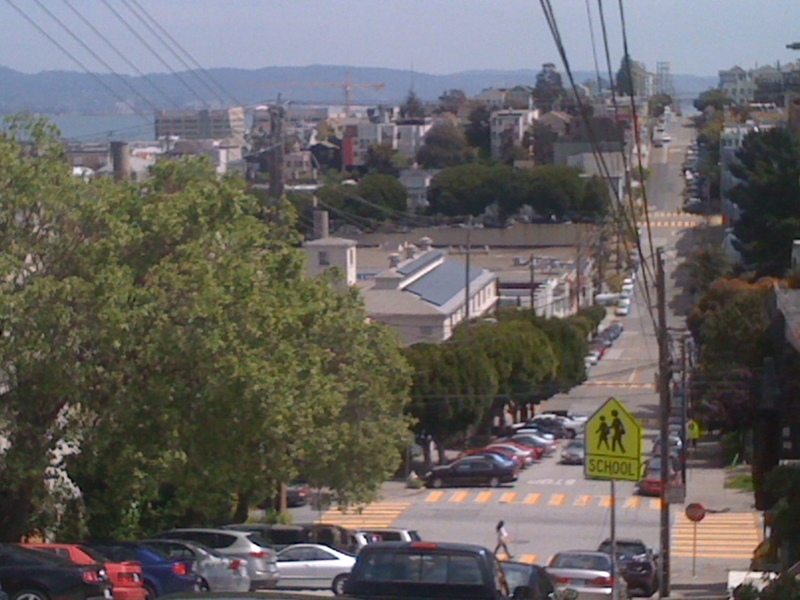 The energy cost to landlords and owners of apartment buildings is sometimes one of the biggest monthly expenses. From the recent and distant history and energy crisis of the world, it does not look like electricity costs will be declining any time soon either. 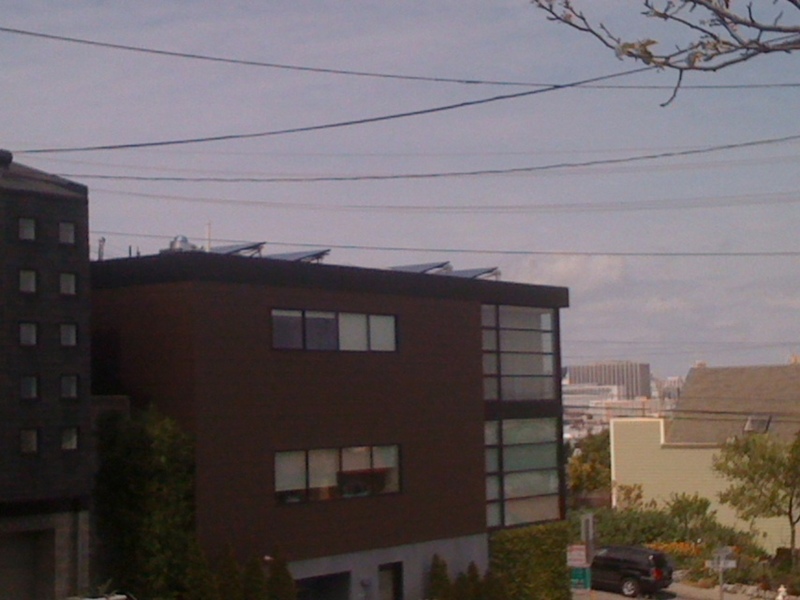 One easy step that all apartment buildings should consider is installing solar hot water systems for heating the water used within the respective properties. This type of renewable energy system has a very long lifespan and can cut down or entirely eliminate water heating costs right away. There are also solar federal tax credits available once this type of energy source is implemented. As is the case with any solar system, your roof should be in good condition and also have plenty of sunlight to capture the sun’s rays everyday. 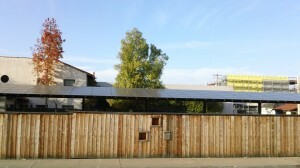 How Many KWH Are in a 5kw Solar System? Posted on 27 March 2011. In order to come up with the most accurate data possible, there are several variables which anyone would need to have to determine the expected amount of electricity or KWH a solar system can produce. First, you are going to need to have a basic understanding of multiplication and electrical units of measurement, along with a few other crucial pieces of information. Let us use for this example a 5kw solar system. We want to determine how many KWH it can produce over the course of an average day during the year. The first piece of information that I would need, and which is required from everyone who orders the customized Solar Evaluation Report is the location of where the solar system is going to be located. This is because I need to calculate what the average amount of sunlight hours per day per year are for your specific location. This number is a VERY important part of the overall equation, and the solar radiation amounts will effect all of the KWH numbers no matter if it per day or per month or per year. Aside from just the system’s location, I will also need to understand what percentage of sunlight is blocked by shade for the actual spot that the solar panel system will be sitting at. If there is a high amount of shading on the solar panels, it will negatively effect the overall output numbers in terms of kwh produced. Again, this is also a required estimation that is needed if you are ordering the Solar Evaluation Report, and you would fill that out on the “Submitted Information Form” you are directed to after your purchase. So, lets do an example, if you have a 5kw solar system, or are thinking about one, and average area that receives about 5 hours of sunlight per day, you could expect the system to produce roughly 20 kwh of electricity per month of the year which is a pretty good amount of electricity in Alternating Current. Posted on 23 March 2011. When you are ready to plan out a solar energy project, you should find some ways to estimate the heat temperatures that will exist near your solar equipment, especially the solar panels. Heat itself is often what many people think is creating electricity in solar energy, but that is not always the case. For example, with a solar hot water system, yes indeed, HEAT is the primary and main source of energy or fuel to make water hot. But with solar electricity, or photovoltaic solar modules, the source of energy is actually just sunlight. In examples of solar electricity, heat can actually decrease the efficiency output of solar panels when extremely hot temperatures are reached. When solar panel temperatures reach over 115 degrees, they begin to have energy losses in their efficiency in turning sunlight into electricity. This is normally not a factor for most locations, however during hot summer months, you can expect to have some energy loss along with your long sunlight hours days. It is somewhat of a tradeoff, high amounts of sunlight perday combined with some minimal energy loss. The high heat temperatures affect the solar panel in terms of its voltage which decreases, and this in turn turns down the amount of electricity that is constantly being produced. Some recommendations for solar energy producers is to definitely consider the locations where you might be placing your solar panels. If you find that you have several options for where the solar collectors can potentially be located, figure out what the average temperatures are at each of the locations. If there is a noticeable difference in heat, you might want to consider the colder location. There are other factors to consider to optimize the solar panel cells such as shading and angle towards the sun, so take those factors into consideration as well.